China TianYing TY-A20 airborne observation electro-optical system provides 20km capabilities for intelligence, surveillance and reconnaissance(ISR). The model is based on three high performance EO sensors and a high-end video auto tracker are integrated in a 4-axis stabilized gimbal assembly to allow exceptional stability at extreme long-range. The TY-A20 Airborne Observation System is designed for installation on helicopters, fixed wing aircraft and unmanned aerial vehicles. Ideal for covert intelligence, surveillance & reconnaissance, armed reconnaissance, CSAR, target designation. 1) Stable 360 degrees continuous turn gimble with -20 degrees to +120 degrees elevation. 2) 4-axis gyro stabilization, the stabilization accuracy: typical 20μradian. 3) 18.3°-0.73° zoom high sensitivity 3-5μm 640x512 cooled thermal camera detect man 12.5km. 4) High resolution fully automatic visible light CCD camera with 24x continuous optical zoom. 5) High performance diode-pumped high frequency long range laser range finder or laser rangefinder designator. 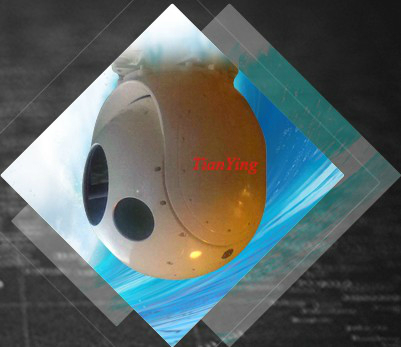 6) Multi-model auto tracker and stable auto tracking boat target 20km. 8) Less than 104 cubic decimeter in size. 9) Less than 50kg in total weight. 12) Suppor radar tracking and output target coordinate.